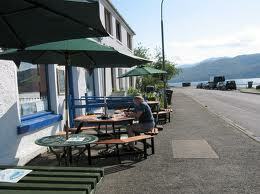 The Junction is a new Cafe Bistro on Shore Street, Applecross in the Scottish West Highlands. Fresh, friendly and welcoming The Junction is open for breakfast, lunch and late into the evening for pizzas or simply a drink at the bar from a wide range of Malt Whisky’s and other delights. 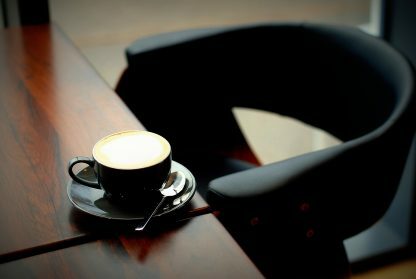 The Junction can boast the best coffee in Applecross. This can be enjoyed throughout the day with a meal or a choice from The Junction’s selection of delicious cakes and baked goods. 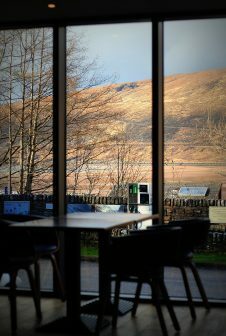 Relax and survey the stunning views of Applecross Bay from a table at the village’s newest addition, The Junction. 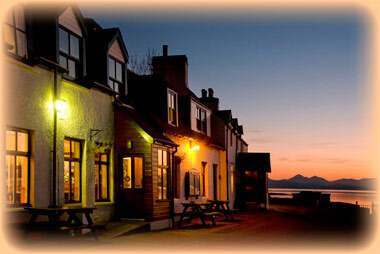 Applecross Inn is famous for its seafood and has won a number of awards. The Inn doubles as the local pub so has a tendency to get a little crowded so if you can find a seat, especially at the height of the season, I'm sure you'll enjoy the experience. Drinkers often spill out onto the street on a beautiful evening and there are tables in the beer garden across the street. It is located on Shore Street and often has live music. 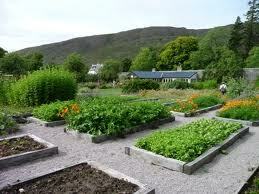 The Walled Garden is located in the beautiful garden next to Applecross House. 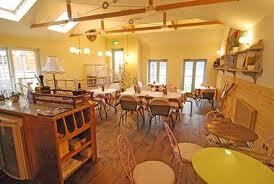 It's also known as the Potting Shed Café and serves lunch and evening meals to a very high standard. Local produce features strongly on the menu. 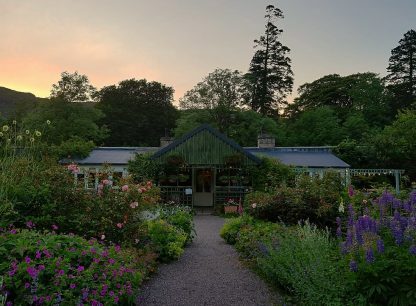 The Potting Shed Cafe and Restaurant is set in the historical grounds of the Applecross house’s walled garden, though it is not known when the garden was built it is accepted that it would be around the same time as work was started on the house in 1675. The old potting shed buildings have been refurbished to house the kitchen and small, eclectic gift shop and a glass extension was built making a lovely dinning area to enjoy the garden views no matter the weather. Local Sourcing has been a way of life at the Walled Garden since its creation but thankfully it is no longer reserved for the Laird and his family alone. With the hard working gardeners producing the fruit and vegetables in your salads and desserts, Jon the proprietor who also works on a local fishing boat, bringing home prawns, squat lobsters, crab, and even the occasional octopus! Lamb and wild boar sourced from Toscaig and Venison from the estate all butchered ‘in house’ food miles, for many of these foods is.....four or some would be better measured in yards bringing the very best of fresh produce to your plate. The Cafe serves a selection of home baking, teas, coffees, light lunches, and full meals. They are licensed to serve alcohol, so you can enjoy a beer or glass of wine! With an acre or two of garden, enclosed by a 14' wall the kids are safe to wander around and play, so you might even get a moment's peace. 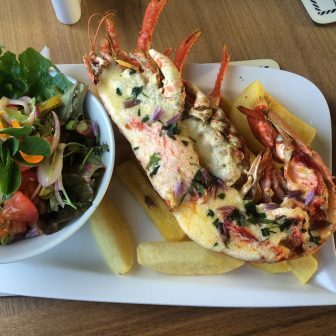 Kishorn Seafood Bar is situated in the Highlands of Scotland opposite Skye; they serve beautiful fresh local seafood, prepared simply for the fullest natural flavour. All the shellfish is locally sourced using sustainable methods of production or capture and includes Oysters, Mussels, Prawns, Scallops, Crabs, Squats and Lobster. The premises are open plan so you can watch and talk to the chef, as your meal is prepared. The philosophy and aim is to provide a fresh, enjoyable, down to earth environment.. A very large proportion of our customers visit again and again, often for the fantastic Garlic Scallops or to indulge in the Seafood Platter. The Snack bar has a great reputation in the area and has had many write ups to name but a few; The Telegraph and The Guardian newspaper article "Supper on sea?" 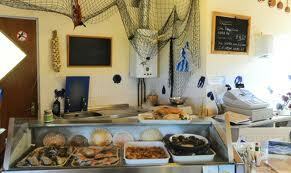 - featuring as one of the 10 best places to eat by the sea in the UK. 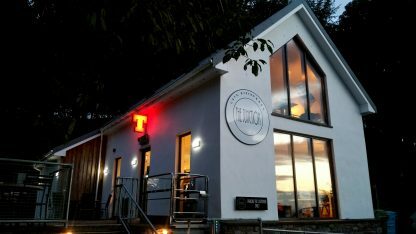 We have also featured in The Independent Magazine while other recent articles about us in the press have included the Scottish Field magazine (in which we featured as one of the editor's choices of top seafood restaurants), the BBC Countryfile Magazine, the Ross-shire Journal and the SLTN Catering & Hospitality magazine. Loch Shieldaig is a spectacular location; the bulk of Upper Loch Torridon and its amazing mountains are literally just round the corner, whilst the road to the remote Applecross Peninsula curves round the bay from the inn. Patrons have been left speechless by the abundance of wildlife visible from this extraordinary waterside setting; otters and seals thrive, there is also a nesting pair of white-tailed sea eagles. Tipples of choice here are beers from the respected brewery across the Sound on Skye or maybe from the Black Isle to the north of Inverness; equally exhilarating are the sunsets viewed from the terrace of the Coastal Kitchens restaurant upstairs, and from the traditional bar, where live music adds to the weekend buzz of the village. 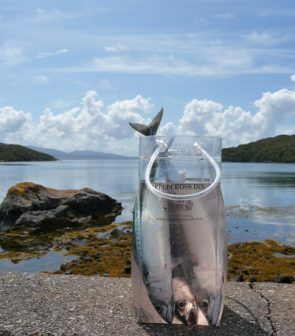 Part of the award-winning Tigh an Eilean Hotel, the Coastal Kitchen majors on the abundant fruits of the sea; in particular the local shellfish which are landed daily by small boats operated by village fishermen and sourced by environmentally-responsible methods such as creel-fishing or hand-diving. Razor clam fritters or langoustines à la plancha are a great introduction to the menu and specials choices cooked in the open kitchen here. The wood-burning oven gives a flavoursome edge to the hand-made pizzas like the 'from the sea' feast of crayfish, squid, shrimps, wood-fired langoustines, onion and orange-braised fennel; or try a trio of hand-dived scallops, oven-seared and served on a bed of dressed leaves with lemon and chilli butter. Sustainable fish such as pollack and sea bream also feature, whilst meat lovers can indulge in wood-fired rib-eye steaks, outdoor-reared pork chops or civet of hare. 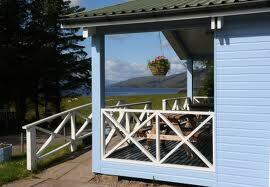 There is a loch side courtyard with benches and tables so don’t forget your binoculars or you are sure to miss out. 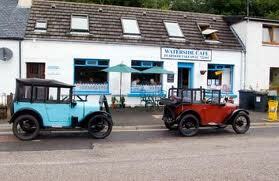 The Waterside cafe is run by Kate and Geoff Ellis, nestled into the main street of Lochcarron with fantastic views of the Loch, the menu is varied with a selection of breakfasts, snacks, main meals and cakes but are most famously known for there ‘challenge breakfast’ which will test the skills of the most accomplished food-lover and to top it of you will receive a certificate for prosperity! !